September and October are often the times when resorts do some clean-up, maintenance and upgrading. 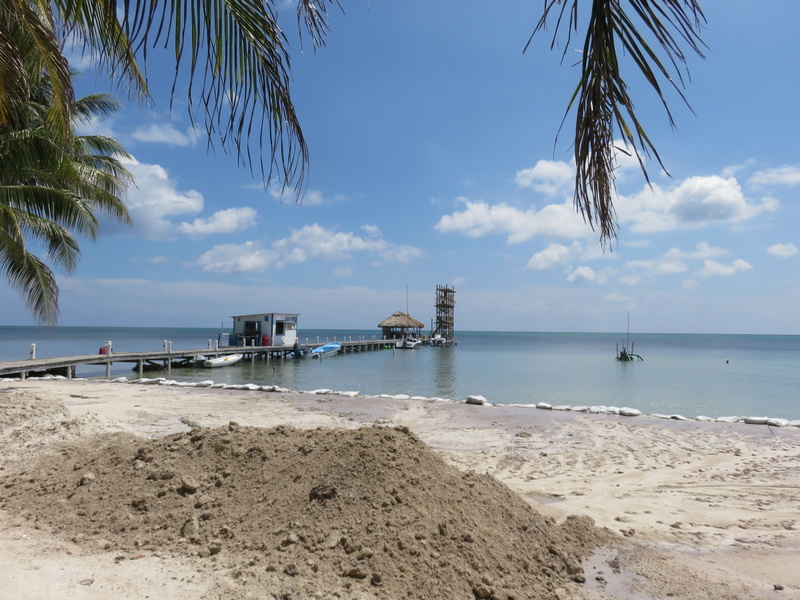 Passing by on the water taxi yesterday from Belize City – I noticed that Caribbean Villas Resort, just south of town, is doing some serious work on their dock and on their beach. One thing stood out to me in particular…so I had to stop by. See what caught my eye? 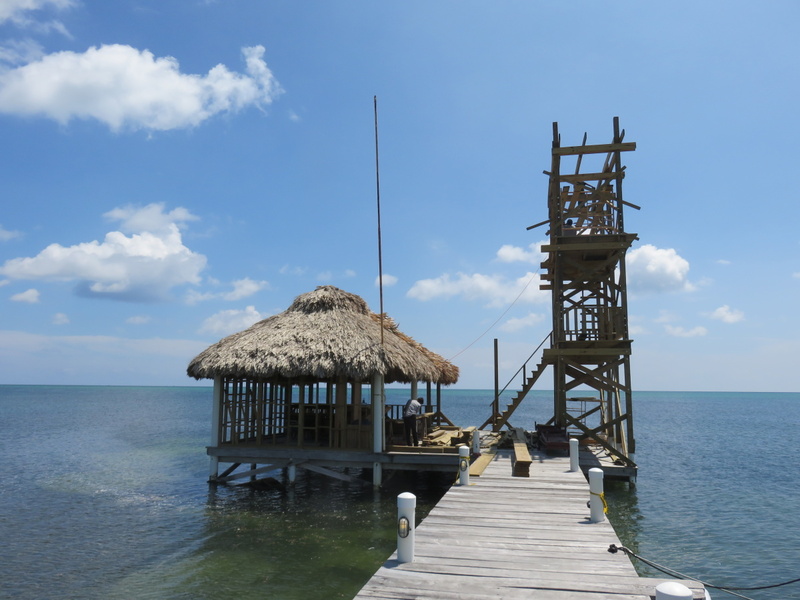 The strange “look-out” tower that’s going up on the end of the dock. I got some photos from all angles before moving in for some information. 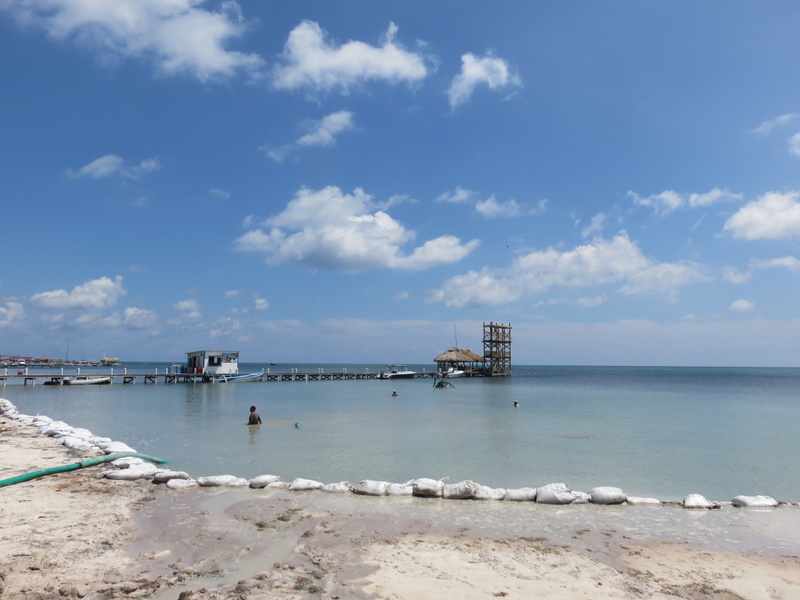 As you get closer, you can see the beach being reclaimed, lots of sandbags and guys in the water – which appears to be getting much deeper. 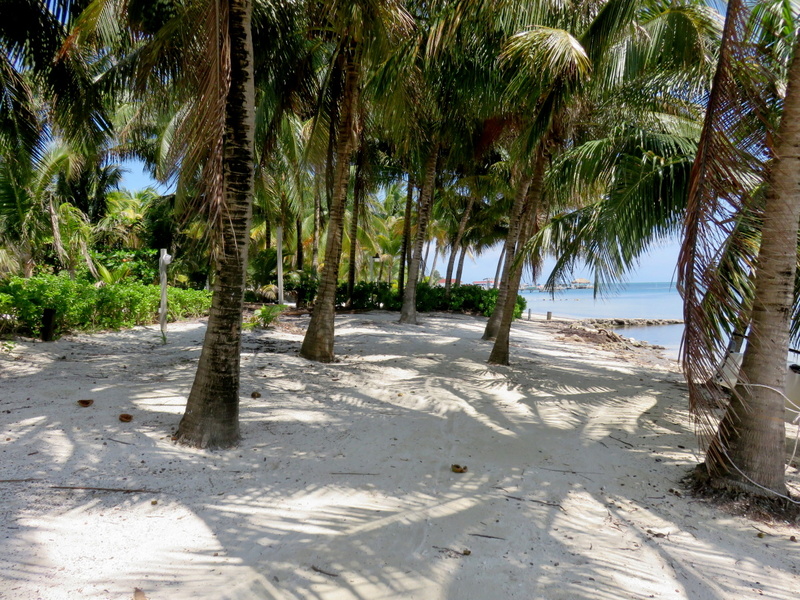 Okay…enough dancing around…out to the dock I go. So to me it looks like a bar and a…hmmmm. I asked the construction worker – who gave me a “uhhh….duh” look. It’s a water slide. 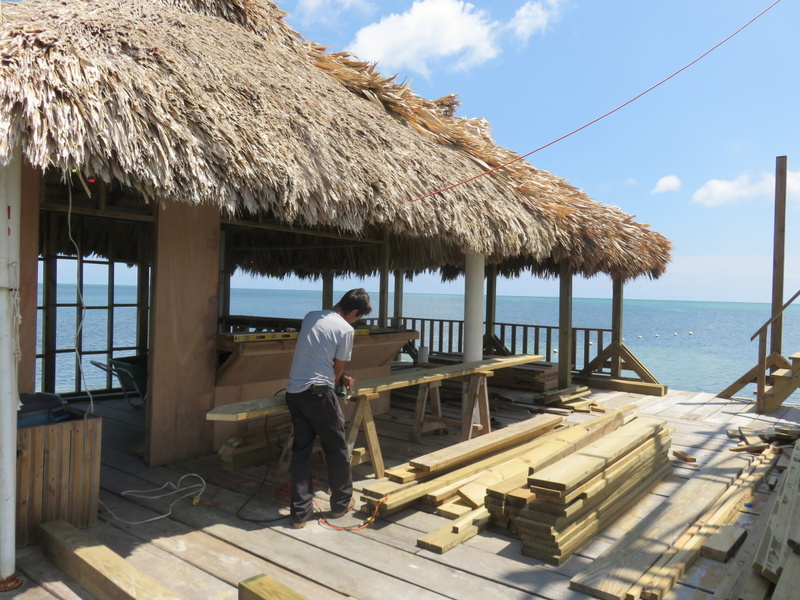 Here is the word of the street on this project: Yes, it is going to be a water slide and no, though the work under the palapa LOOKS like a bar, it is merely a spot to sit around and enjoy beers or cocktails (that will be purchased or delivered from the Amber Beach Bar), it is NOT a bar. 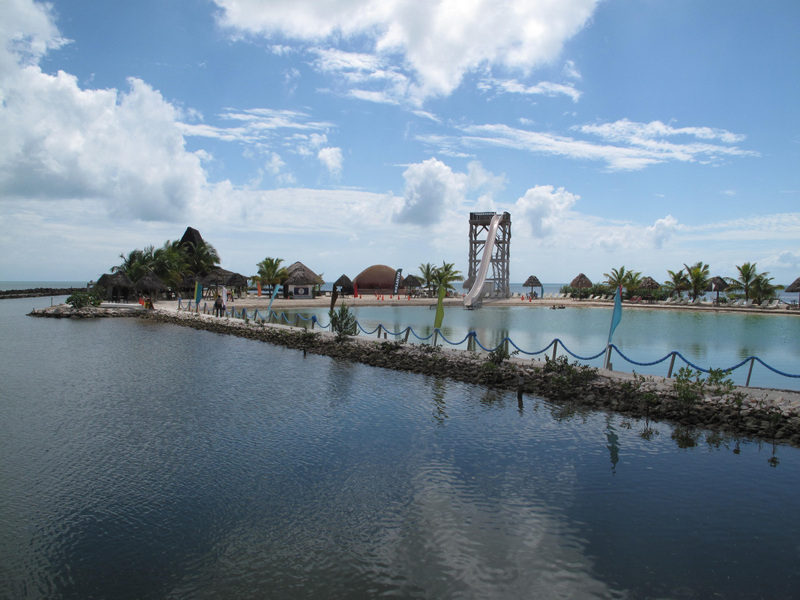 The water slide idea in Belize is not a new one. 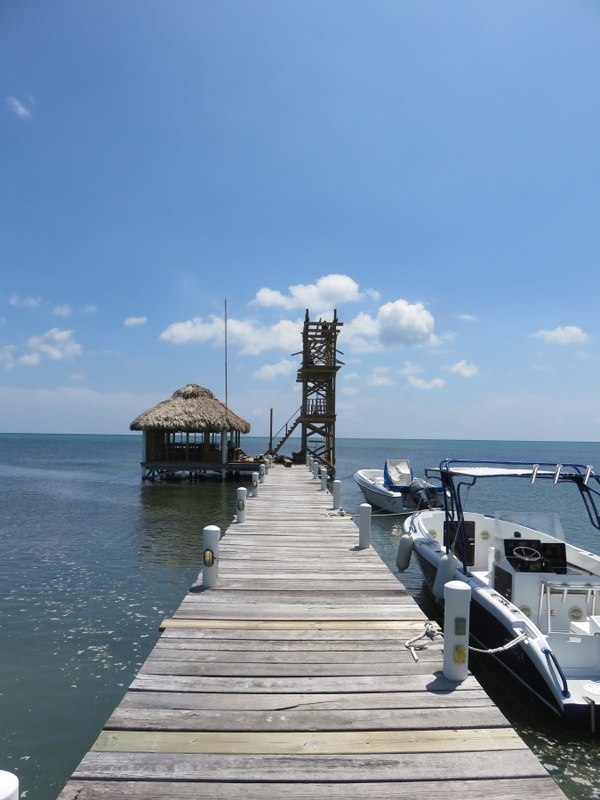 There is one just out of Belize City at Old Belize that looks like this…MUCH taller. I saw it during a Harley Davidson Motorcycle Rally. I hear that they are going to have this water slide, a water trampoline and more water toys. And that you can buy a bracelet for the day…to use the “rides” as often as you want. Perhaps at a price of $20-25bzd. OR…if you want to go on the water slide, you will be charged a per ride fee – perhaps $5bzd. There will probably be a security guard regulating all of this. I shuffled off (I often shuffle) with lots of thoughts. 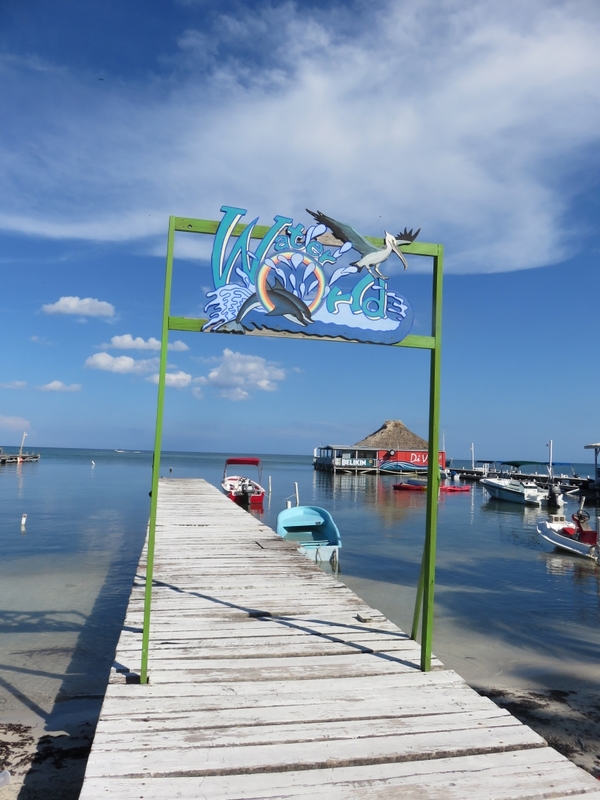 Aren’t piers in Belize public? – does that include the entire structure? I lifted this from a post on the AmbergrisCaye.com message board. Ministry of Natural Resources & The Environment. (Below are Excerpt’s From an actual (sample) pier permit). As far as public access goes, “The public shall have access to the pier at all Reasonable times”. “No gates or barrier structure shall be placed on the pier”. Also, “Piers are a “Privilege” to erect a structure on National Lands and does not confer ownership of the structure nor an interest in the land (seabed)”. Interesting. But then I also thought that if a resort uses chairs or umbrellas on their beaches or piers, they do seem to have the right to call that private property and restrict use to patrons. All I know for sure is that it is going to be something to watch a security guard turning away the kids of San Pedro from this attraction – the phoenix on the horizon – something many only imagined in their dreams. I think it’s a darn shame, ugly and unneeded…pretty soon Disney World will be here. But that’s just my opinion…I don’t like Florida and this is so Florida to me. Agree with Susan. I know how to get to Orlando. Once the Mega Resorts start taking up beach areas they put in security guards that stand in sun all day to chase off non-guests. Tell you to mosey along elsewhere. Seems different strokes for different folks. 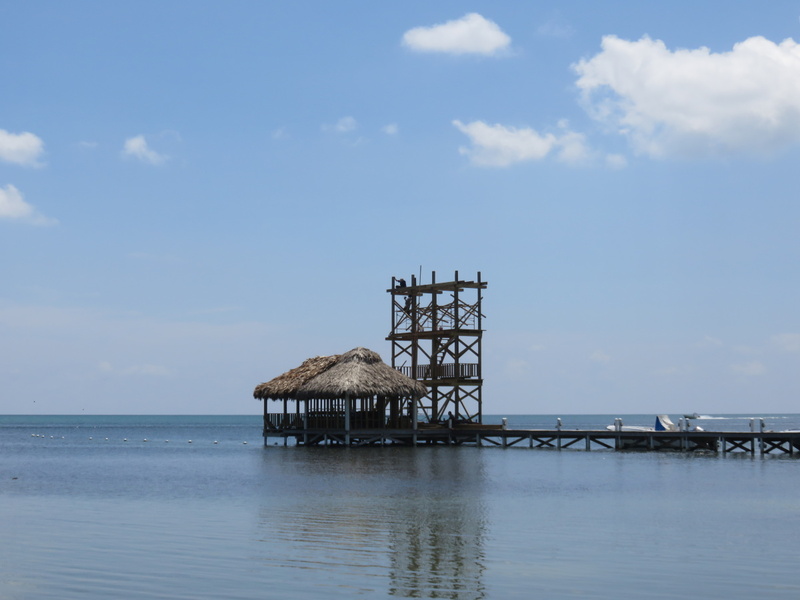 Same old story some banned from building over water structures….yet some …no problem. I was under the impression ( albeit given a slight possibility fo being incorrect) the over water ban was on “buildings” such as bars, restaurant, dive shops, etc. 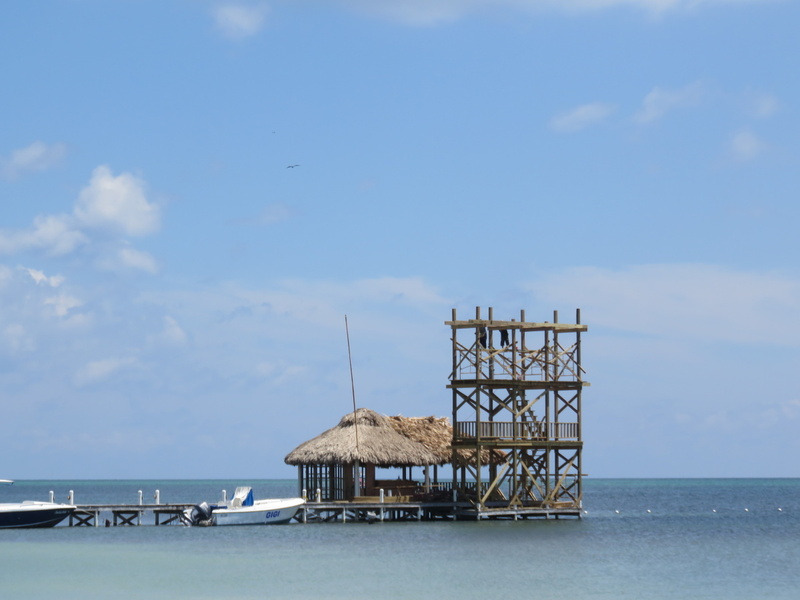 If Scoop is correct, this palapa is merely a sitting area, not unlike many other covered structures on piers/docks. The three-story observation tower may appear to be askew, but current thinking on that is it is built slightly tilted until the slide & front part gets built and attached, pulling it straight again. An item of suspense. We will see if this is wild-catted or approved. In the meantime, I believe another political party has issued a challenge to the two existing ones. I can get a link if you are interested.